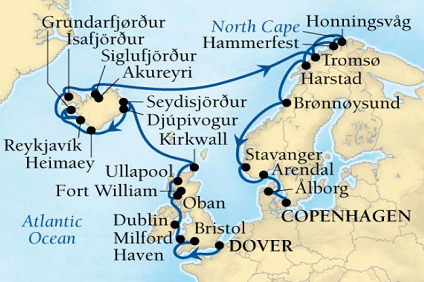 Port Location – Ships dock at the Port of Dover's main cruise ship terminal in the Dover harbor. It is only a ten to fifteen minute walk into the main part of town. Transport Links – If traveling to Dover by car, the A2 runs north to Canterbury and on to the M2. The A20 follows the coast south to Folkestone, and the A256 heads north towards Ramsgate, Broadstairs and Margate. Trains and buses are also available to and from Dover. 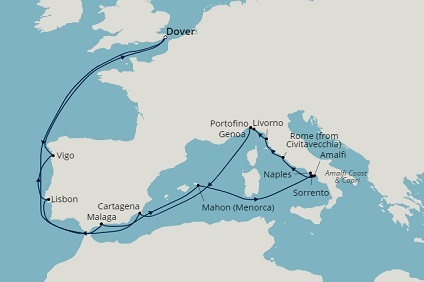 Due to its proximity to continental Europe, Dover is one of the busiest cross-Channel ports in the UK, Regular ferry services operate from Dover to Calais, Dunkerque and Ostend. 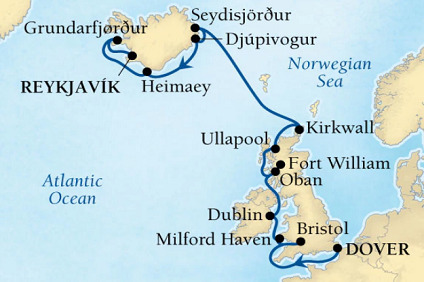 The Ferry between Dover and Calais costs around £12-18 each way if on foot or bicycle, and around £80 for a car, although big discounts are available if booked in advance or with special offers. Buses operate in Dover, however it is small enough to get around on foot. 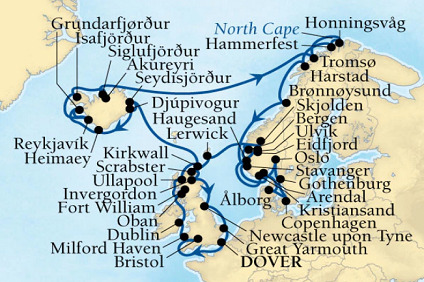 22 Night Cruise sailing from Dover roundtrip aboard Boudicca. 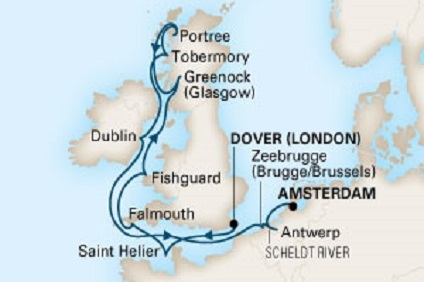 14 Night Cruise sailing from Dover to Amsterdam aboard Prinsendam. 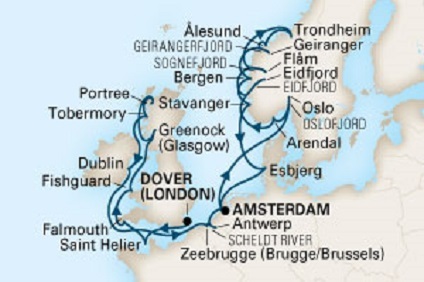 28 Night Cruise sailing from Dover to Amsterdam aboard Prinsendam.